Torontonians who can barely wrap their minds around a housing market where $1-million is the average price for a detached home might want to take notice of a new fast-approaching benchmark. Try not to panic if you haven’t bought yet but the $2-million home is a growing segment of the market in Canada’s largest city. Data released by the Toronto Real Estate Board Wednesday shows there were 461 detached home sales for more than $2-million through its Multiple listing Service system in the first five months of the year. That’s only 2.4% of all detached home sales activity for the year but the $2-million plus range has climbed 37% over the past year in the GTA. “What you are seeing is $2-million is the new $1-million,” says Drew Laszlo, an architect in the city who has been involved in several infill projects that have fallen into the new threshold. 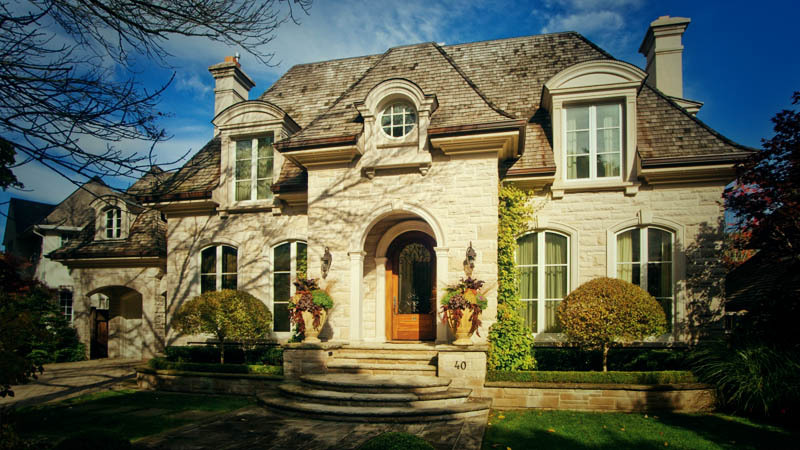 The strength of the $2-million-plus market comes as Toronto home prices continue to soar. TREB said Wednesday the average sale price of a home across the Greater Toronto Area reached $585,204 in May, an 8.5% increase from a year ago. It was the best May ever for Toronto real estate sales with detached homes in the city proper reaching an average price of $943,055. Jason Mercer, TREB’s senior manager of market analysis, cautions when it comes to the $2-million-plus market the numbers are still small so it could affect the data.